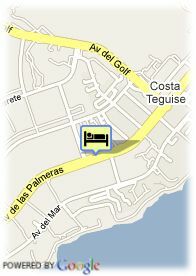 Avenida Las Palmeras, s/n, 36509 Costa Teguise, Spanje. 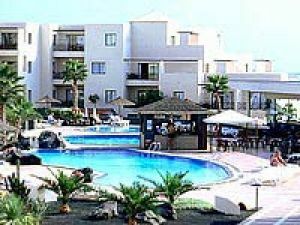 Aparthotel Club Resort Las Marinas is four-key complex surrounded by a typical landscape of Lanzarote, where you and your family will enjoy all the charms of a unique island. Well connected to the tourist and main centers of the island and located only 900 Metres away from the lovely Playa Bastian.Las Marinas offers its guests ample and comfortable apartments and a wide range of Services that will make you take the best memories from our island back home. Our newly built complex offers modern equipments and installations to enable all sun lovers choosing Lanzarote as their holiday destinations to enjoy The pleasures of this Canary island .The recently construction of our one and two bedroom apartments respects the traditional canarian style. We also offer on request apartments adapted for disabled clients. In order to make your stay more comfortable our quiet four key complex offers different services in its apartments and at the Reception, together with restaurants, shops entertainment and sports.